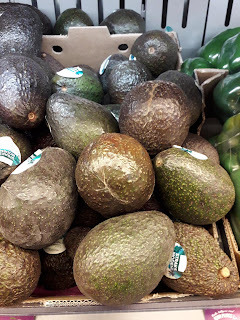 Avocado can be found year-round in Nigeria but at certain seasons of the year, like now, the green-shaped, fleshy body fruit that could be described as ' pear-shaped' or 'egg-shaped' is aplenty in the Nigerian market and thus relatively cheap. Unlike other fruits that consist primarily of carbs, avocados are high in healthy monounsaturated fats and other nutrients, making avocados beneficial for the heart. When compared to similar fatty foods like butter, avocado contains low levels of cholesterol, is a low-calorie food, and does not lead to increased weight gain. Below are some of the things we found out about avocado that we wish to share with Nigerian mothers. Avocado is a great source of minerals and vitamins. It also contains phytochemicals that help in protecting the eyes as they are said to reduce the risk of developing age-related macular degeneration. Avocados are weight-loss friendly as they are good sources of fiber: Fiber is an indigestible plant matter that helps increase the satiety value of food which eventually reduces one's desire to eat more thereby contributing to weight loss. They also help prevent constipation, maintain a healthy digestive tract and lower the risk of colon cancer. Avocados are said to be rich in folate as 100g of the fleshy fruit contains about 20% of the RDA of Folate making it beneficial for pregnant women. Folate reduces the risk of miscarriage and neural tube defects in unborn babies. Avocado has been described by nutritionists as "a great first food for babies". Avocado is a great nutrient-dense food full of healthy monounsaturated fats and nearly 20 minerals and vitamins. Its texture and creaminess make it acceptable to many babies. 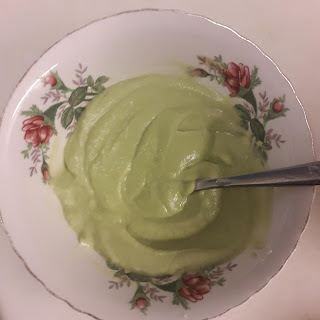 Avocado can be mashed/pureed with different fruits to make wonderful baby foods.